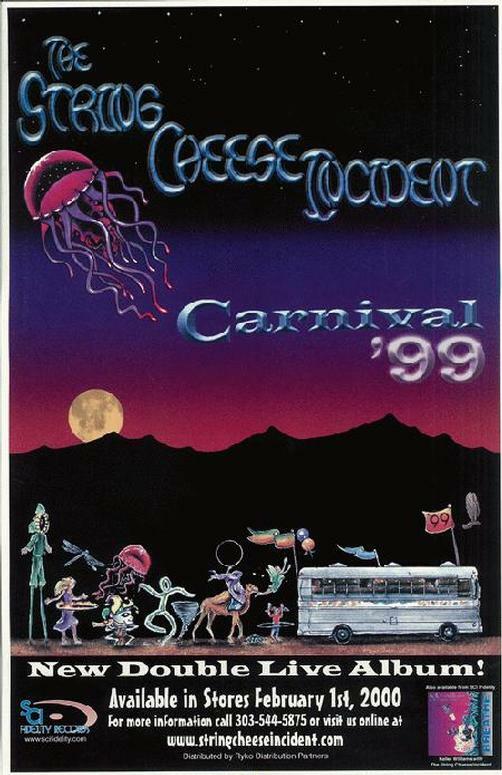 Original promo poster for The String Cheese Incident Carnival '99 from 1999. 11 x 17 inches on thin paper. Light Handling marks.